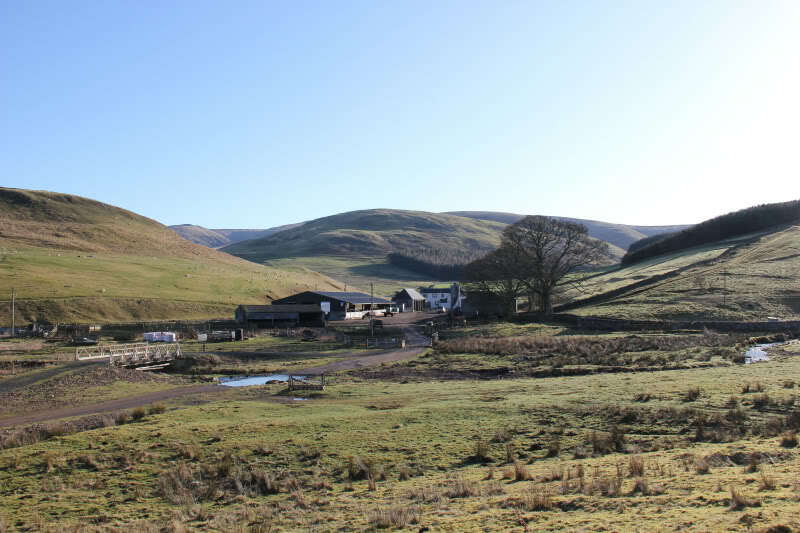 I set off this morning from Town Yetholm to Cocklawfoot for an ascent of Windy Gyle and the Cheviot. 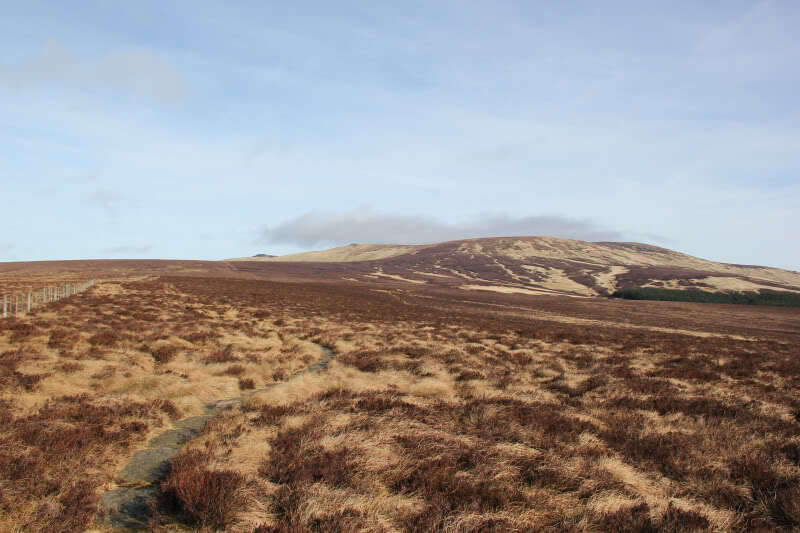 I had hoped to ascend the Cheviot in 2011 but didn't get round to it, so it was high on my wishlist for 2012. 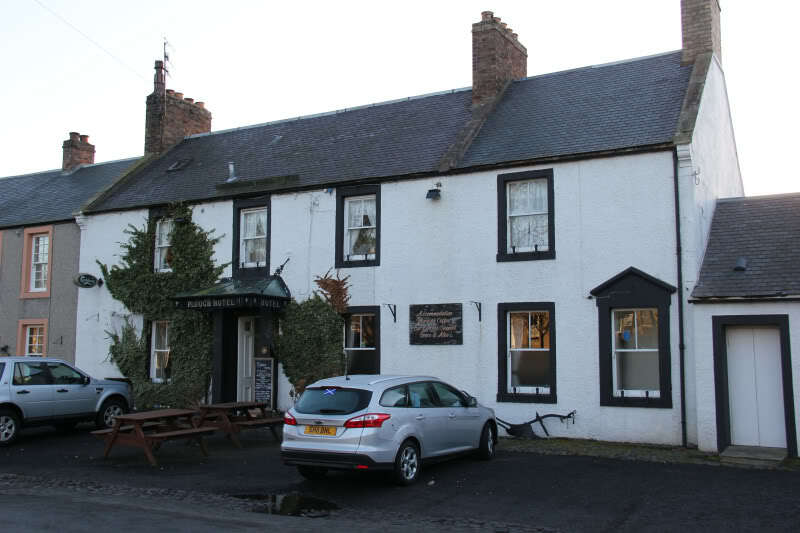 The Plough Hotel, in Town Yetholm, is a nice dog-friendly hotel. 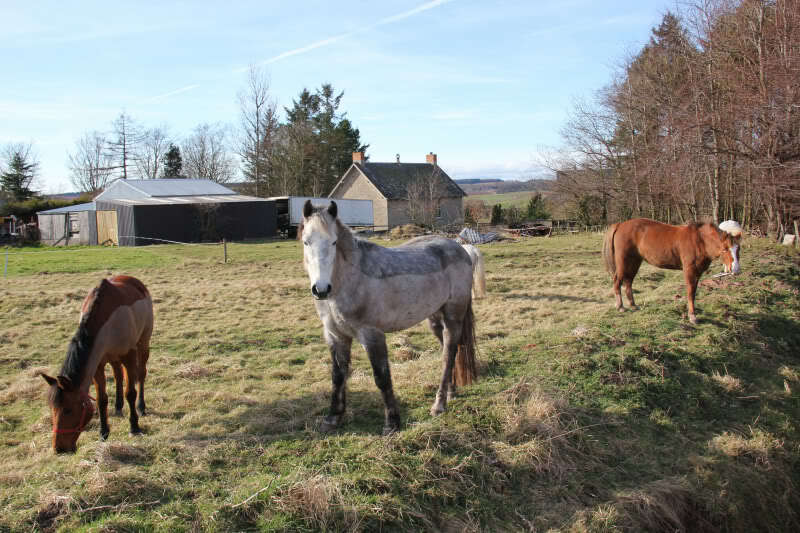 I parked just before the bridge near the road end at Cocklawfoot – plenty room on the grassy verges. 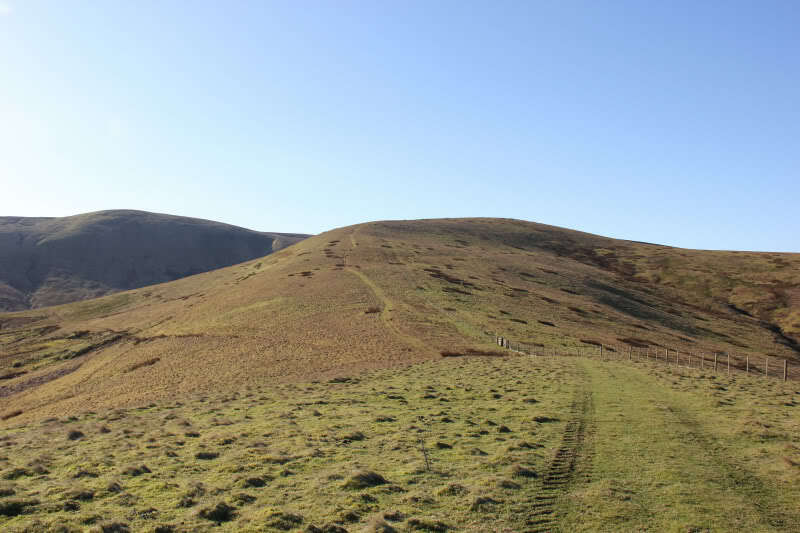 From Cocklawfoot, I set off towards Kelsocleuch with the intention of ascending Windy Gyle first. 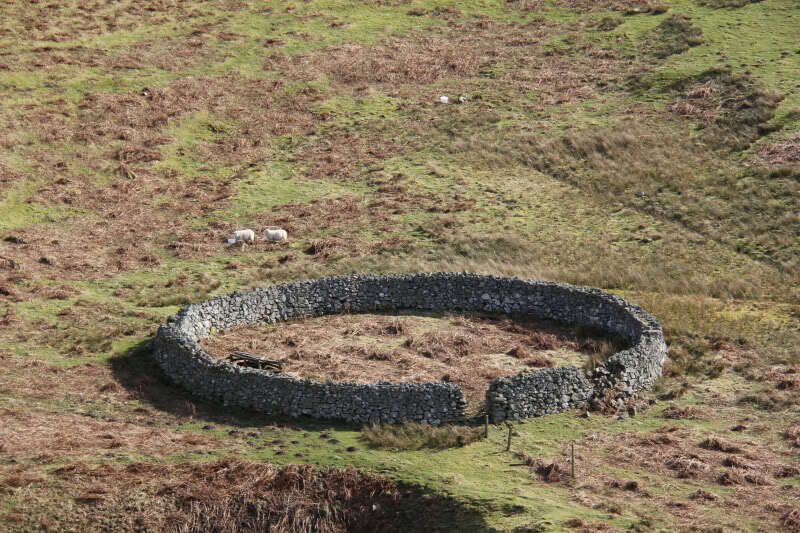 As I approached Kelsocleuch, I noticed a sign advising of an alternative route to avoid the electric fence ahead. 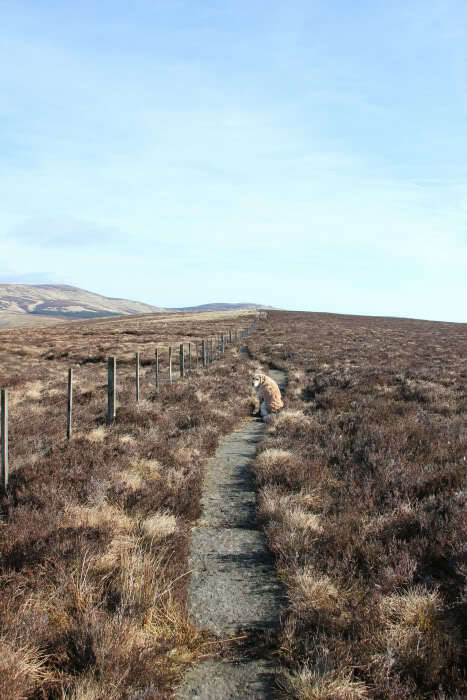 I followed the alternative route skirting round Kelsocleuch. 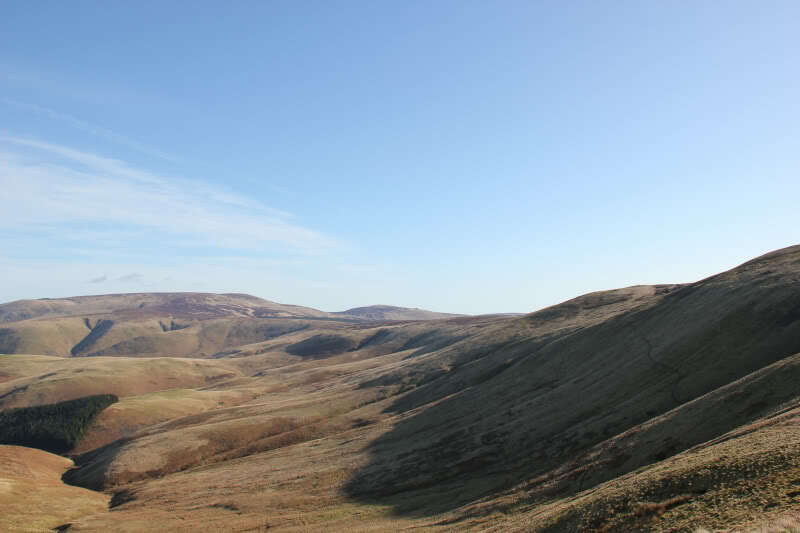 The ascent of Kelsocleuch Rig was pleasant – the weather was nice and sunny, skylarks were singing overhead and the views were pretty-good. 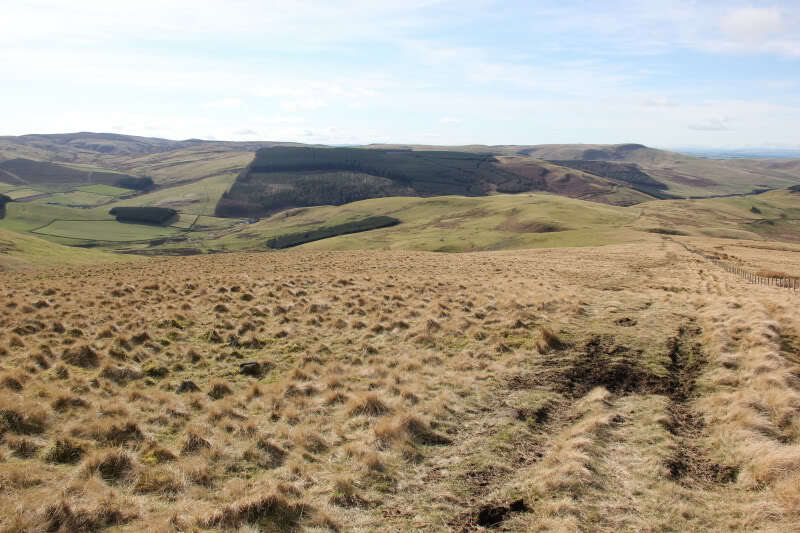 As I was ascending Windy Gyle, I was thinking of all the different hill list ticks. 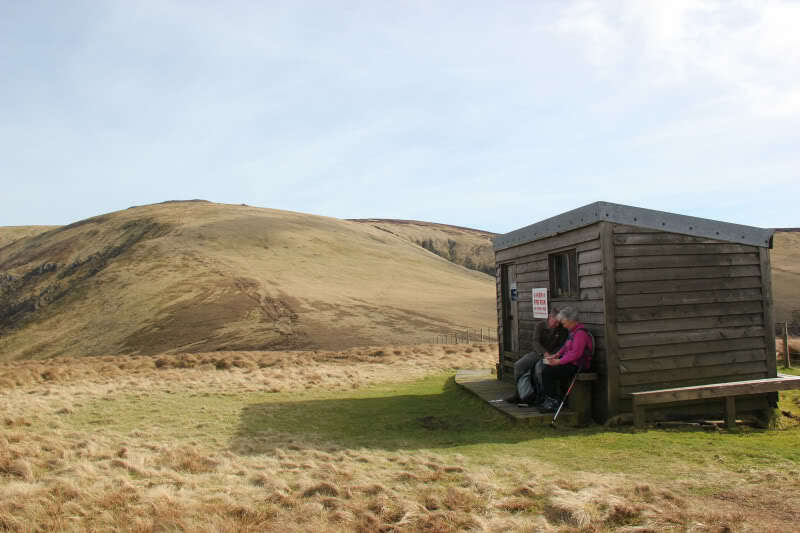 Windy Gyle – Donald, New Donald, HuMP and Hewitt. 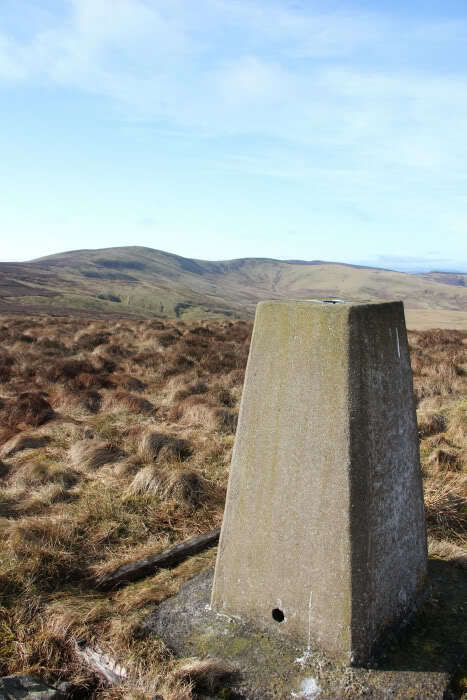 From Windy Gyle, the Cheviot still looked quite a long way off. 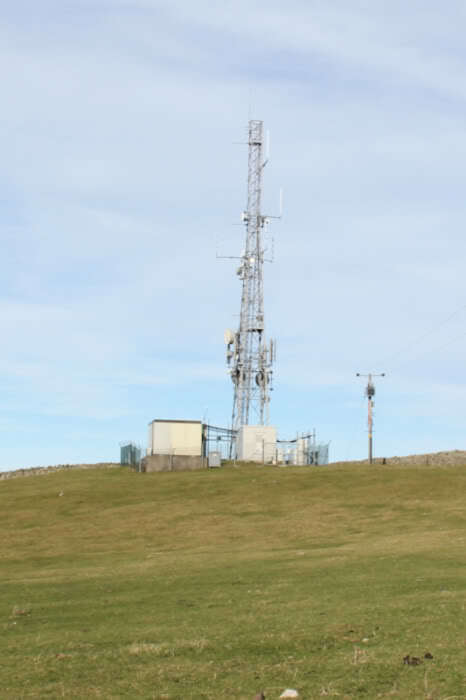 I reached the top of Windy Gyle just 1Hr and 10Mins after setting off. 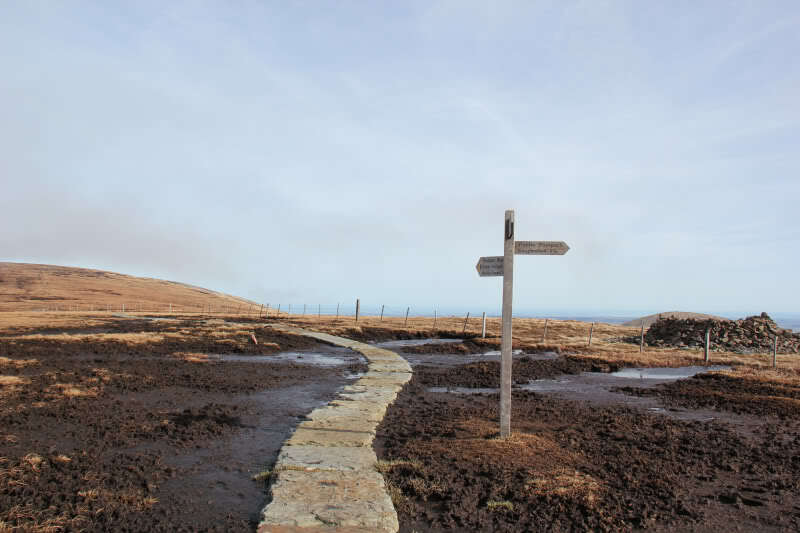 A short distance beyond the summit of Windy Gyle, I crossed over to the English side of the fence to utilise the Pennine Way flagstones. The flagstones made for really fast progress albeit they are really slippery when wet. 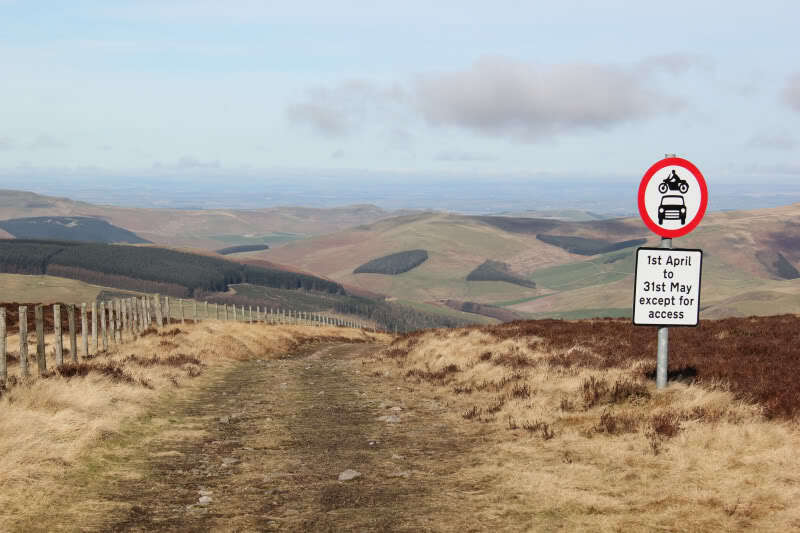 About half-way between Windy Gyle and King's Seat, I was surprised to see a road traffic sign at the top of the hill. 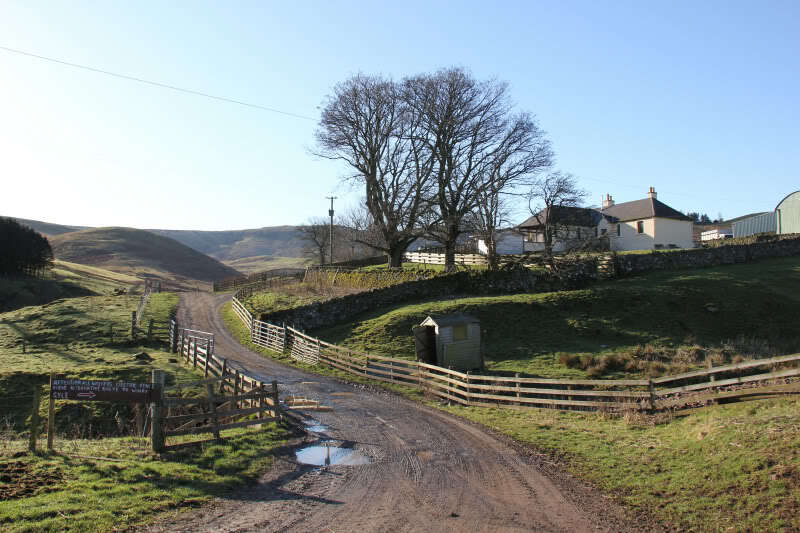 It looks like it is permissible to drive up the hill except from 1st April to 31st May . Can you drive up to here? 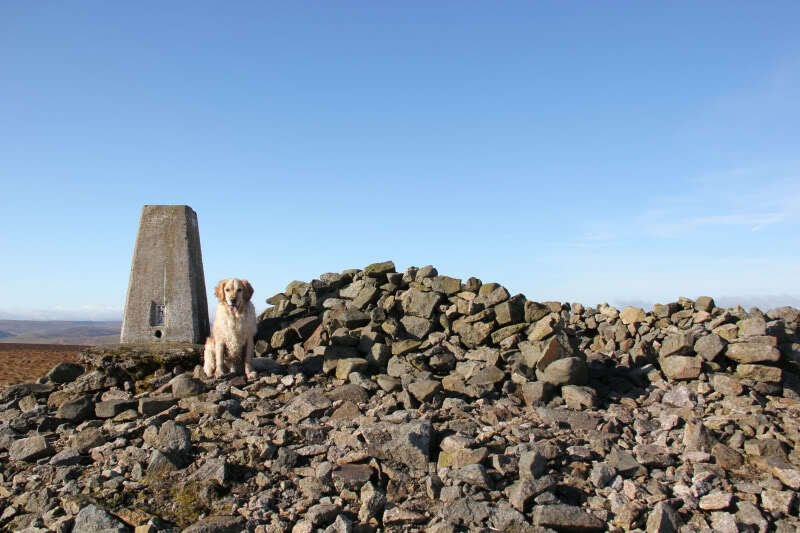 I crossed back over to the Scottish side of the fence to reach the King's Seat trig point. As I was walking along, I took a photo of a large bird. 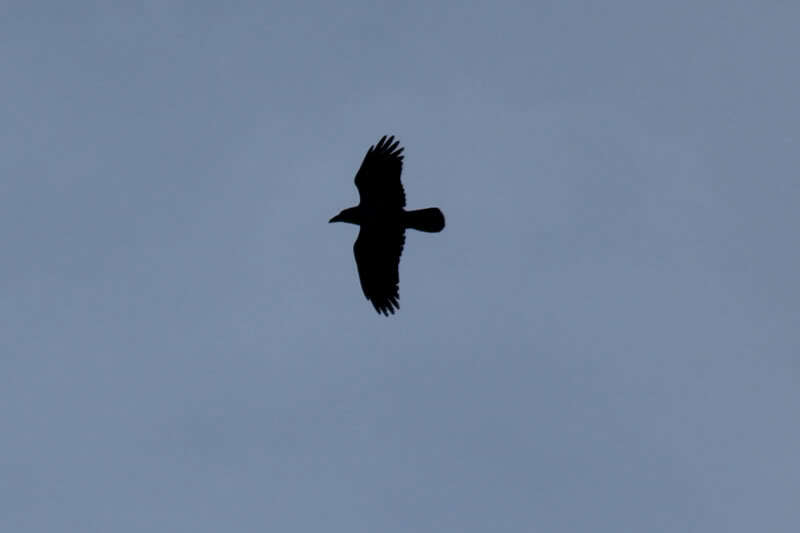 I couldn't make out what it was from its silhouette. 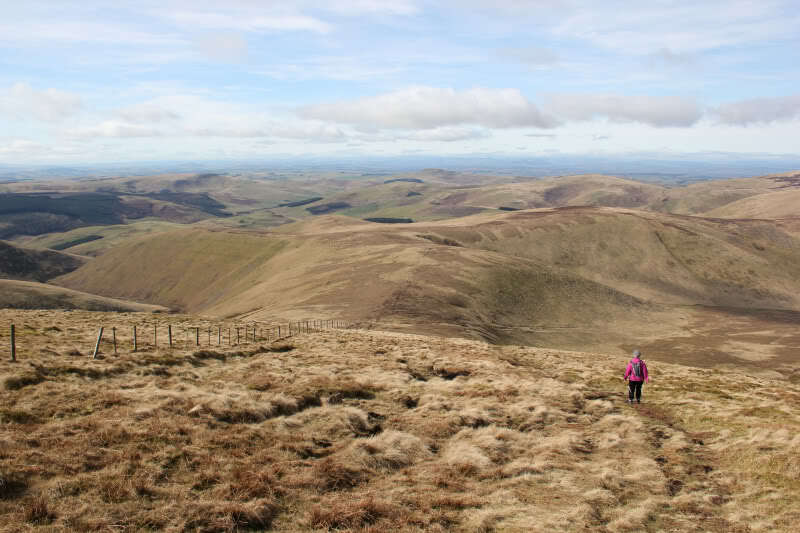 On reaching the 743m top of Cairn Hill, I left the Pennine Way and made my way deeper into England to ascend the Cheviot. 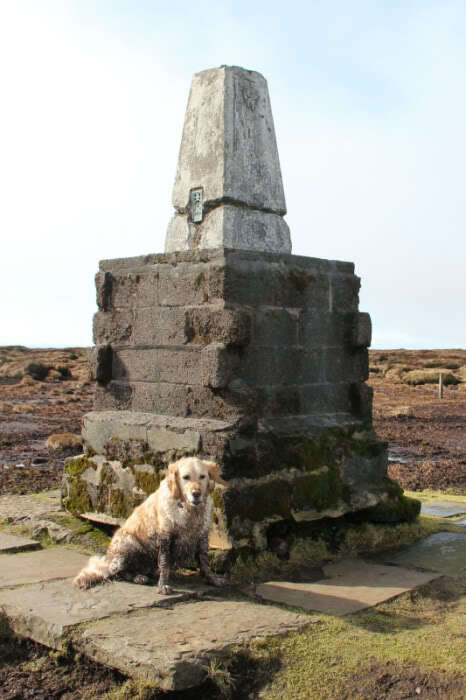 The flagstones proved increasingly useful as the final 100m or so of the Cheviot are extremely boggy. 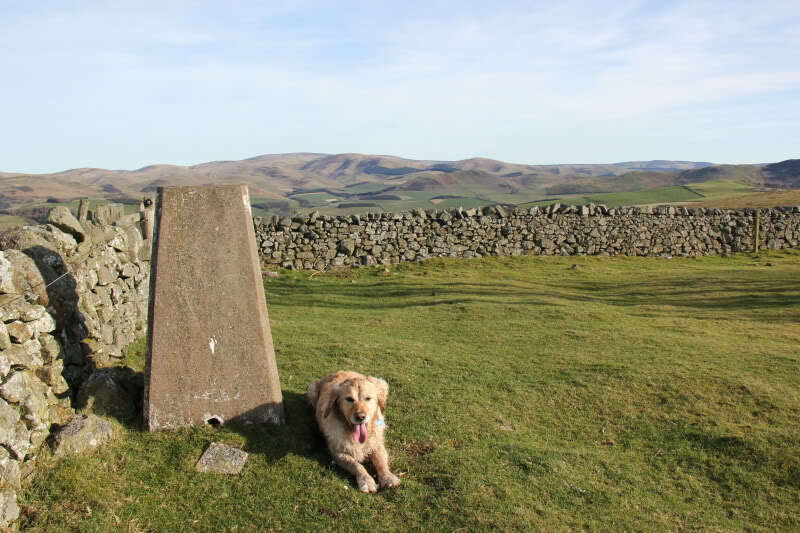 On reaching the summit of the Cheviot, I had a wee scramble up onto the top of the trig point. 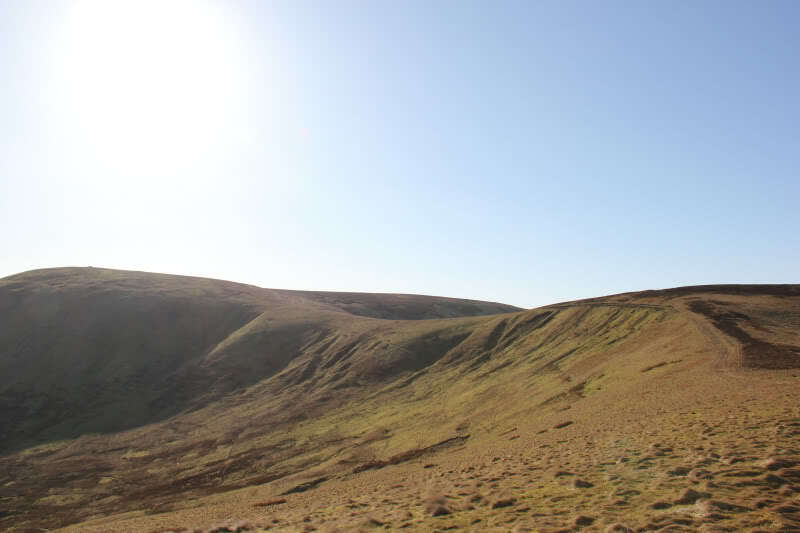 The Cheviot must be one of the boggiest hills that I have been up. 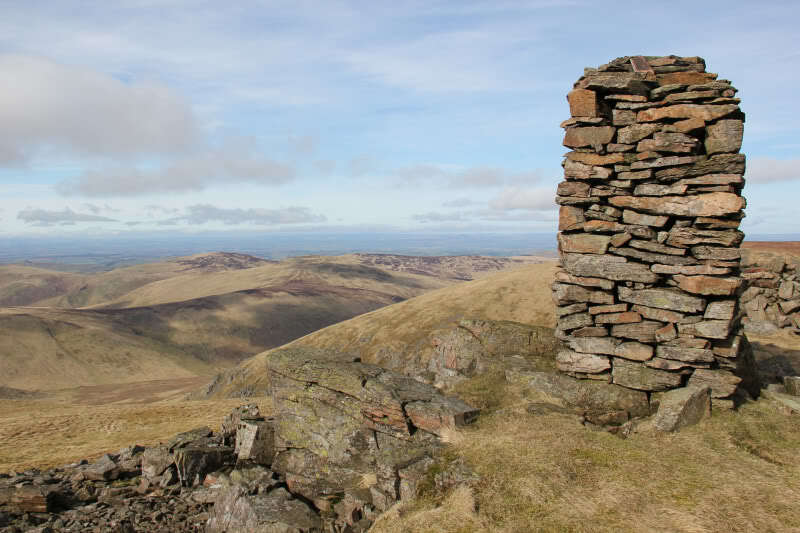 From the summit of the Cheviot, I returned back the same way as far as the 743m top of Cairn Hill. 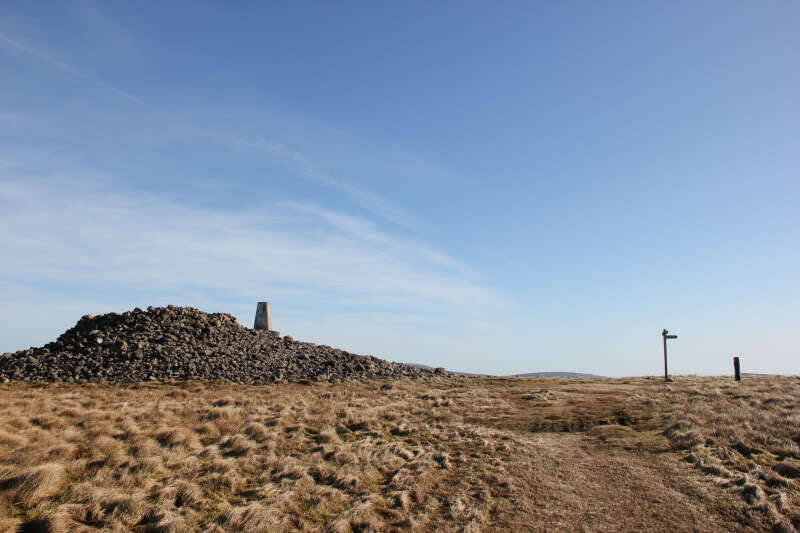 I then set off towards Auchope Cairn and Rig. 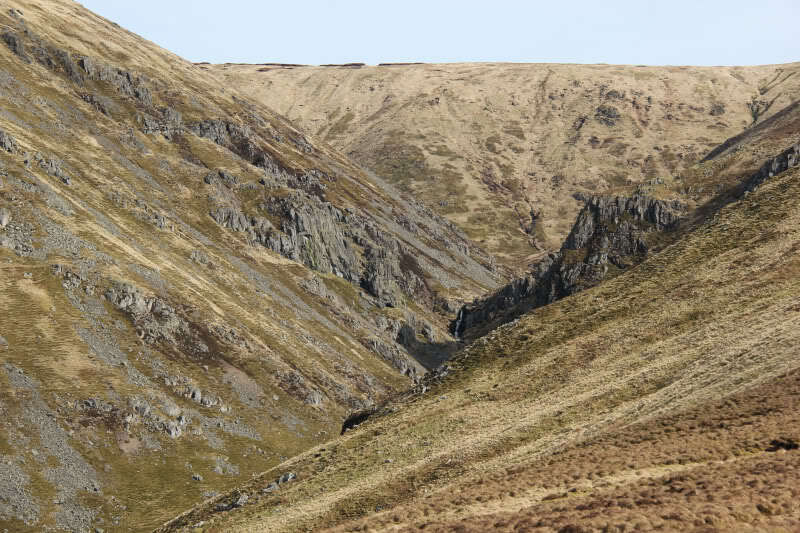 On reaching Auchope cairn, I took a wee detour to have a look at Hen Hole - it looks much better from below. 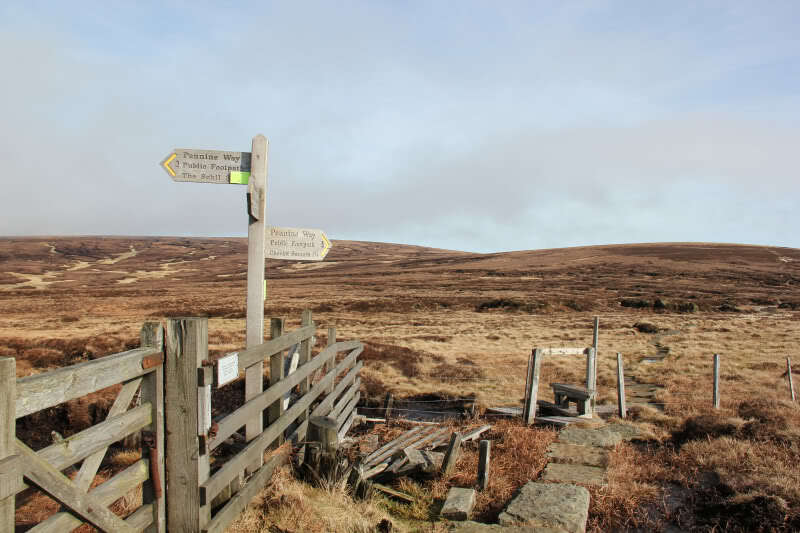 I met a couple of walkers from Jedburgh at Auchope cairn and walked with them most of the way back to the Cocklawfoot. 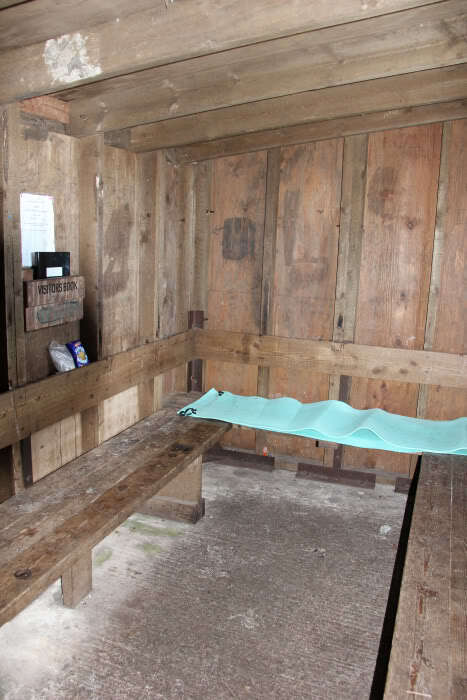 We all had a wee break and bite to eat at the Mountain Refuge Hut. I also had a wee look inside. I then set off towards Auchope Rig. 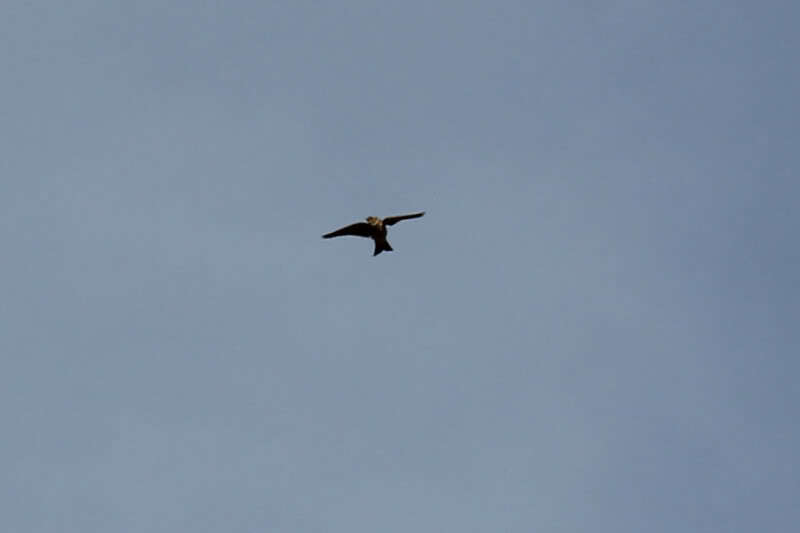 On hearing another Skylark, I tried to take a photo of it hovering in the sky, using full zoom. The descent of Auchope Rig was quite pleasant. Before returning to Cocklawfoot, I had to stop at a couple of burns to clean some of the mud off Beinn. 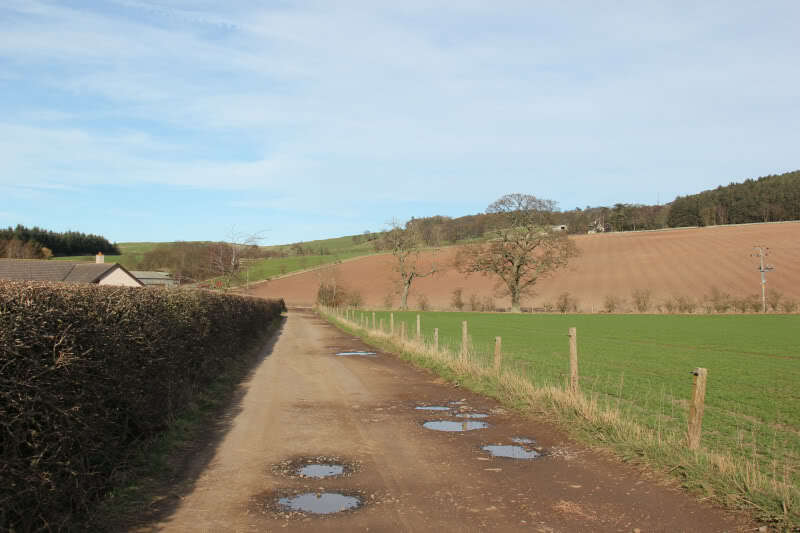 I got back to the car just after 14:00, so I decided to have a wee hill dessert given it was such a nice day and given I was so far from home. 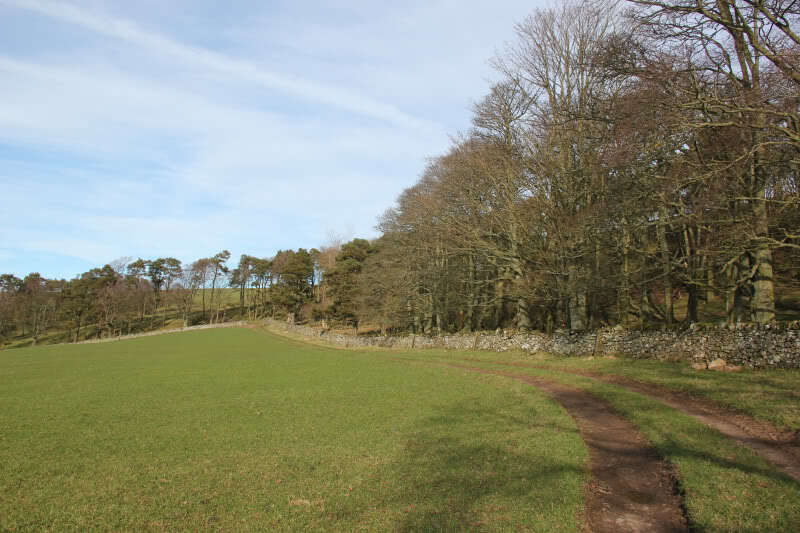 From Cocklawfoot, I drove to the start of a track leading up Linton Hill. 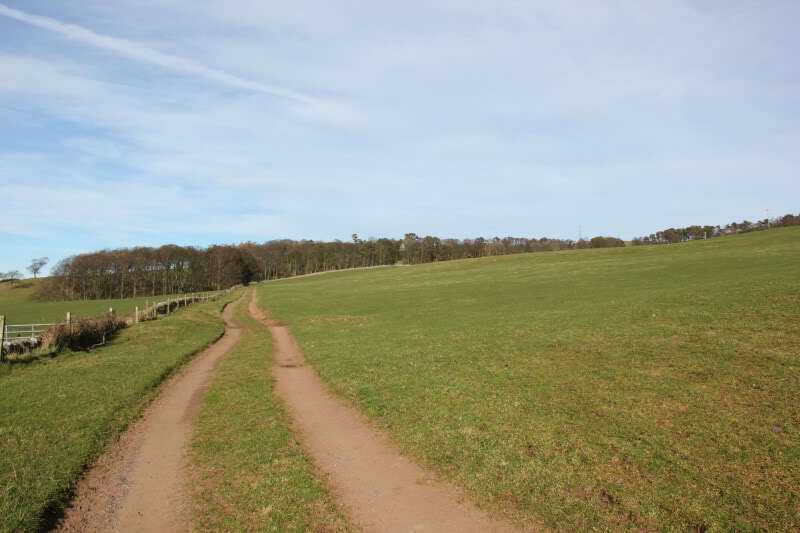 There is a track leading right to the summit of Linton Hill - I therefore walked this hill in my trainers. 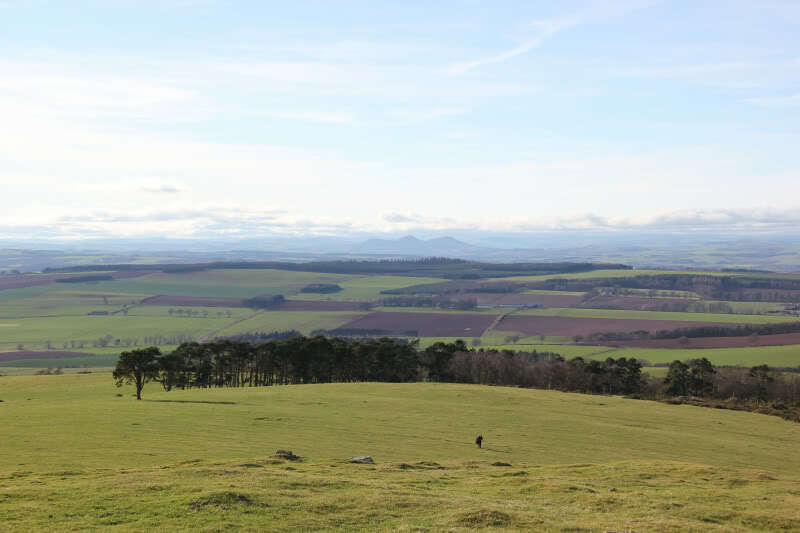 The views from the summit of Linton Hill are pretty-good. 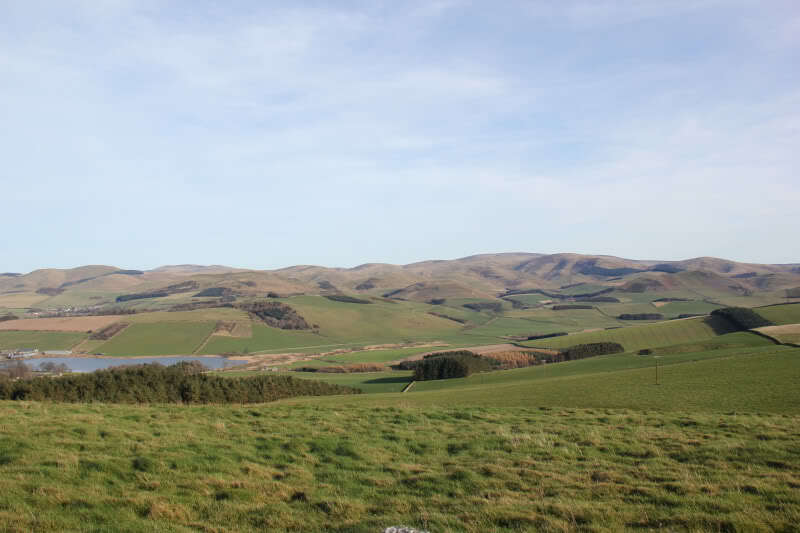 I was particularly impressed with the view of what I think are the Eildon hills and also the views across to the Cheviots. 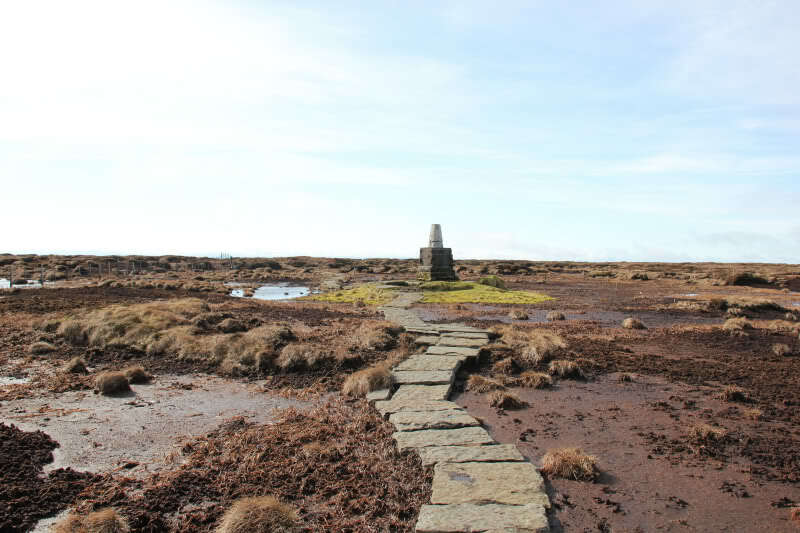 After having a chat with another walker at the summit, I returned to the car via the same route. A great day out; first sunburn of the year .